Kate Moss Transforms Into David Bowie For 'Vogue' Cover... AGAIN! Kate Moss does David Bowie twice: 'Vogue' Paris December/January 2012 and 'Vogue' UK May 2003. Hold the phone, y'all. This morning we spotted Kate Moss gracing the December/January 2012 cover of Vogue Paris in FULL David Bowie/Ziggy Stardust hair and makeup and the first thing we thought was: "HOLY COW SHE LOOKS CRAMAZIINGGGG!" followed by our second thought, which was: "Waiiiiit a minute. Haven't I seen this before, or am I taking crazy pills?" Turns out we're not crazy (HA!) and Kate Moss has actually channeled ol' Ziggy before on Vogue UK back in 2003. 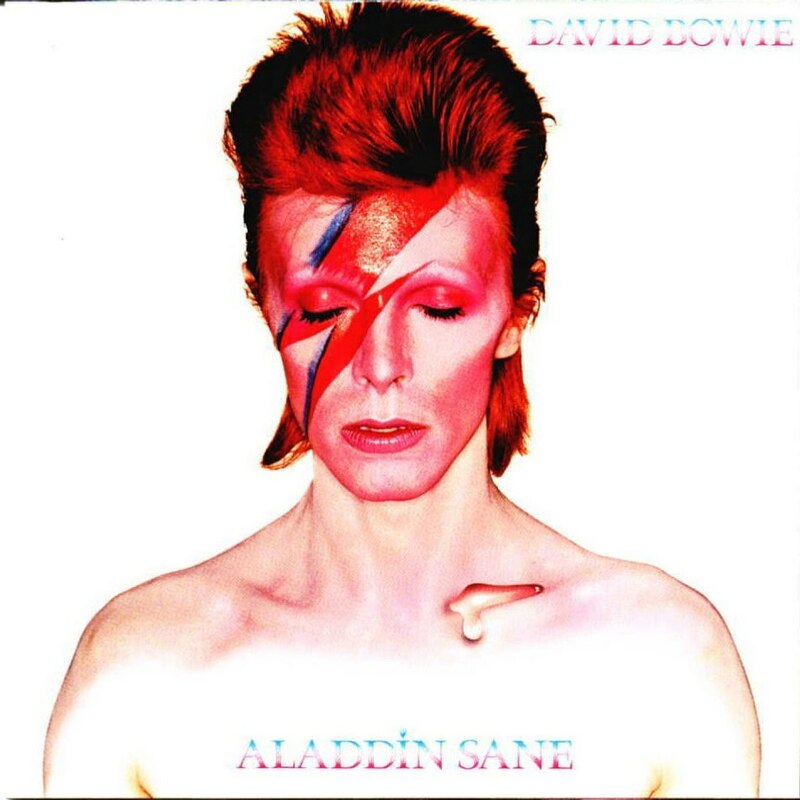 The description of the old issue says Kate's cover was in the style of Bowie's Aladdin Sane album (which has the iconic Ziggy Stardust red and blue lightning bolt makeup and stick-straight '70s mullet hair), and the inside spread paid tribute to the rock star by dressing up in his original costumes. But we NEED to talk about Kate's most recent cover stat because this mayyy be one of the best things to happen to us, like, ever. Kate's '70s wig looks miiighttty good compared side-by-side to David's red-tinted 'do, so we need to give that 'do a giant slow clap. Also, is no one else mad that Kate Moss is wearing a RED, SPIKED MULLET and still looks good? No? Just us? OK, then. She also shows off her Bowie-esque jawline and chiseled cheeks like a pro, AND she fully committed to the look by shaving her eyebrows completely off just like Mr. Stardust. The only thing she's missing is the heavy red eyeshadow, lightning bolt face paint, and, um, shirtlessness, but HEY. She's done that whole Bowie bolt thang before, and Vogue Paris proooobably prefers Kate with a shirt on for the cover, but otherwise, it's David Bowie gold. Also, Kate isn't flashing that anchor tattoo for no reason—as Fashionista pointed out, Mr. Bowie himself ALSO sported a temporary anchor tat on his face during a performance. Perfect!